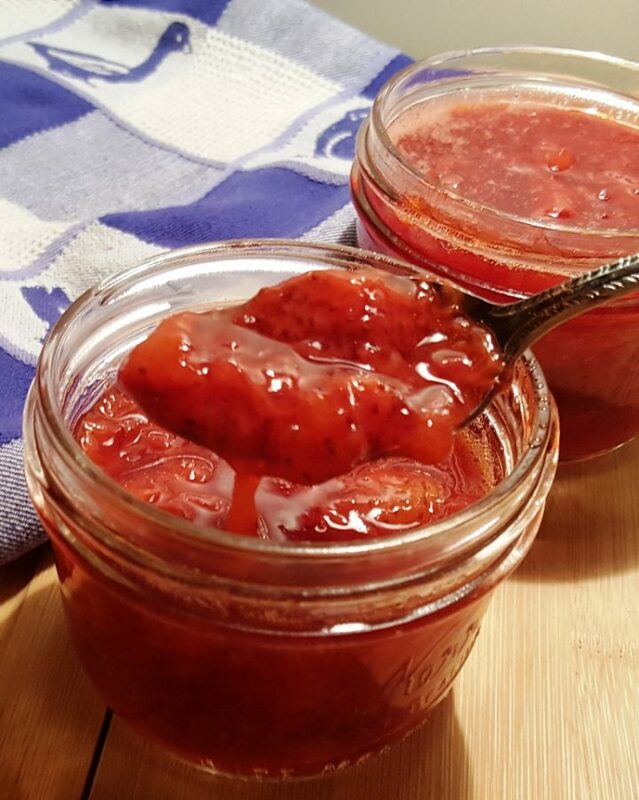 Pressure Cooker Fresh Strawberry Compote is a sweet and refreshing summer treat. A minute in the Instant Pot or Pressure Cooker is all it takes! I’ve been enjoying my Pressure Cooker Fresh Berry Compote so much with fresh homemade Greek Yogurt. My husband, on the other hand, won’t eat it because he is not fond of blueberries. He, therefore, gets his own batch of Pressure Cooker Fresh Strawberry Compote, just for himself. 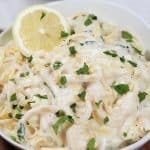 Rather than standing over a stove and watching to make sure the fruit comes out just right, it’s really simple to make in the Pressure Cooker. Three ingredients. You certainly can flavor this up with a vanilla bean, ginger, oh, ginger would be delicious. What are the Ingredients for Strawberry Compote? How about some a drop of chocolate extract? 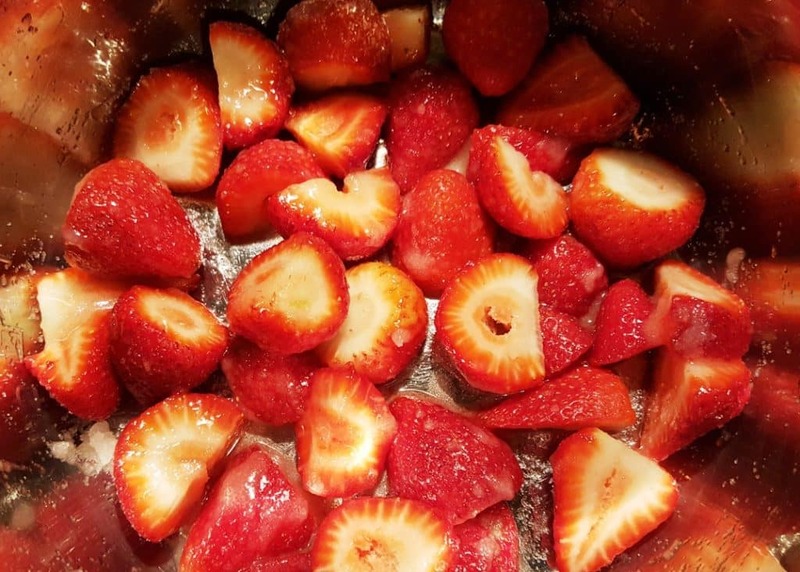 Since making my own Instant Pot Greek Yogurt, I’ve been making Pressure Cooker Fresh Strawberry Compote about once every two weeks. My husband eats yogurt every day and adds a couple of Tablespoon of compote to the bottom of a Mason Jar and then fills the jar with yogurt. This, coming from a guy who would not taste Greek Yogurt until I made it myself! There will be lots of liquid that will be released from the Strawberries. There is no need to add additional liquid to the Pressure Cooker cooking pot. You can see how much juice the strawberries are already releasing. Look how much liquid is now in the cooking pot! No water need; all fruit. Add a little squeeze of orange juice and you are ready to cook. It’s very fresh and summery. You can put this compote on everything! What do you eat with Strawberry Compote? This compote is wonderful over my Pressure Cooker New York Cheesecake. Cheesecake, uuuuuum, Cheesecake. This compote makes a great filling for my Red, White and Blue Cheesecake Singles. 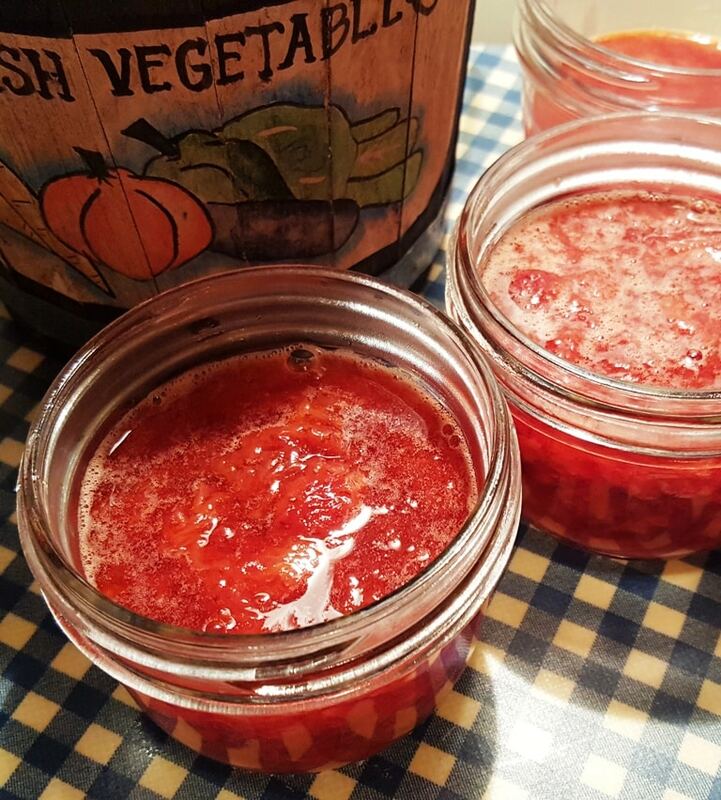 These little Kerr Half Pint (8 oz) Mason Jars come in so handy to save and then serve the compote. If you love Strawberry Ice Cream like I do, grab this Ice Cream Maker and make fresh ice cream using this Compote. Now, get cooking. Let me know in the comments section below if you make this. See you there. Add fruit to Pressure Cooker cooking pot. Sprinkle with sugar and let sit 10 minutes. Add a little squeeze of orange juice. Cook at High Pressure for 1 minute. Compote will thicken as it cools. 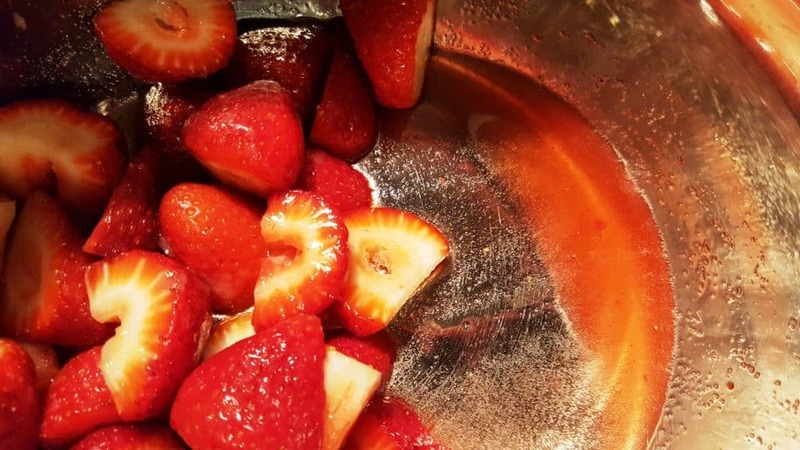 PIN this Pressure Cooker Fresh Strawberry Compote! Do you think this would work for figs, blackberries, etc without added liquid? It sure would work. Blackberries give off liquid. Thank you for visiting. What about figs? I want to use fresh figs. Do I just not put in the orange juice? Hi Jill! Could this be made from frozen thawed strawberries? Frozen strawberries would work. Thanks for visiting! Hi Jill. Do you think this would work with granny smith apples? Put apples in the pot, cored with skins…best applesauce ever! No sugar needed with sweet apples. If you dont have an orange is there something else you can use? Skip the orange, no worries! Or add a small squeeze of lemon. Hmmm…I’m thinking peaches would be divine, too! Peaches are divine and I am about to put up a recipe for my Peach Cobbler Compote. How about one for cherries??? Would using reduced fat cream cheese have an adverse impact on the cheesecake (i.e., would it still set up okay)? It should still set up fine. 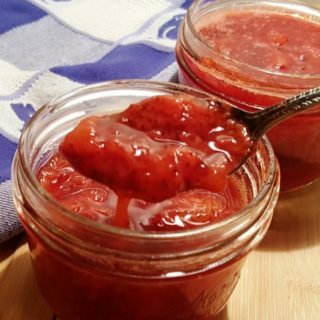 I just discovered strawberry compote and made my easy version using only strawberries and some spices. So yumms! I should put some ginger in next time like what you did. I think they will taste so yummy on waffles and maybe even on banana nice cream!! If you use frozen strawberries, do you need to thaw first, or can they just be put in the instant pot. I made this last night and put it in my oatmeal this morning. Delicious! Only thing is that it turned out super runny. I’m sure this is due to the fast that I was trying to make two things at once and my timing was way off. 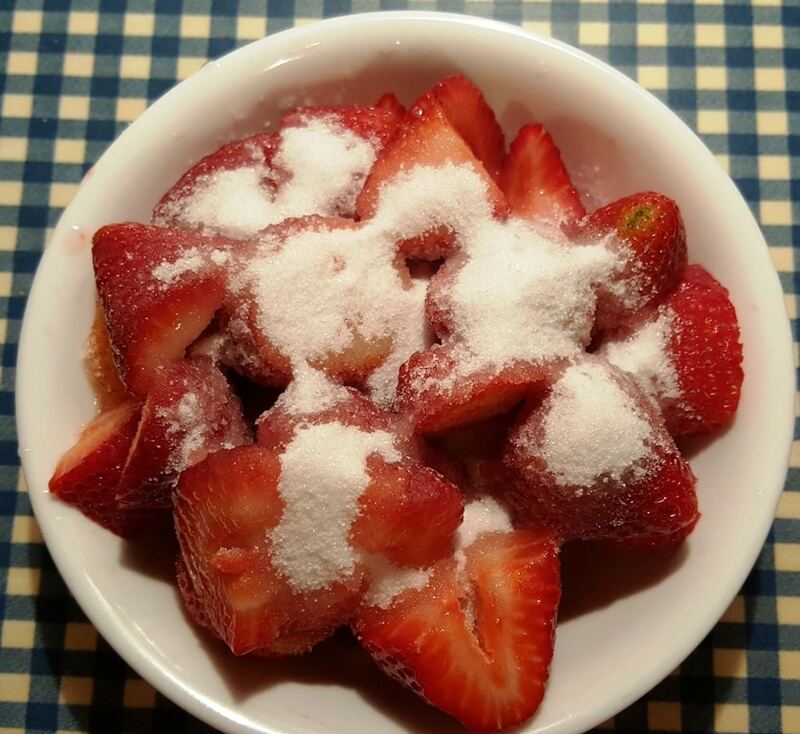 The strawberries ended up sitting in the sugar for far longer than ten minutes. Would you concur? I’ll definitely be making this again though with other fruits as well! I made this today and it was so good! Have you ever tried using bananas? My daughter loves strawberry and banana yogurt. And now we make our own, I don’t know how to get that flavor. 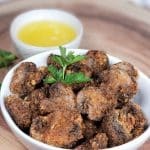 Bananas would be delicious with this recipe. I say go for it. 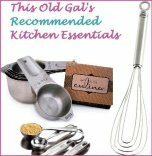 Could I use vanilla extract in place of vanilla bean? What’s the recommended amount? Absolutely, or you can leave it out altogether. Have fun cooking! Can I make Orange Compote? Silly question, I know, but I have bags and bags and bags or oranges! I’ll take any orange recipe you have, haha! Vero, how about orange curd or marmalade? We don’t do refined sugar. Could I use honey or maple syrup? Shauna, yes or no sugar works. And I was a sugaraholic. To make strawberry banana, how much banana would you add to this recipe? Does it need extra liquid with the bananas added? Thanks! 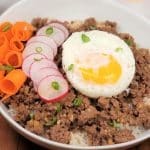 Love your Instant Pot pressure cooker recipes. 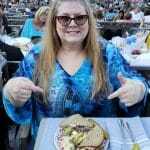 I am just getting ready to start my yogurt & then make some of the fruit compotes that you have given. Do you know if they will still work using frozen fruit? Would stevia work instead of sugar? I just sent a comment asking if stevia would work, but I meant to say Truvia. Truvia is the same a stevia (No idea if it would work or not though, given is over a month I hope you got your answer. I just made this to top our cheesecake for Easter. My first time making a compote, not sure if I did it right as the strawberries are now a brownish color and not as vibrant as yours. Any tips? I have yet to taste it as it is cooling right now! I have a ton of strawberries and new to the IP. Would it still work if I doubled the recipe or should I just plan on making several batches? You can cook as many strawberries as will fit. no issues just let me know and I’ll delete it. Hi Jill, this strawberry compote sounds amazing! My husband adores strawberry-rhubarb ANYTHING! 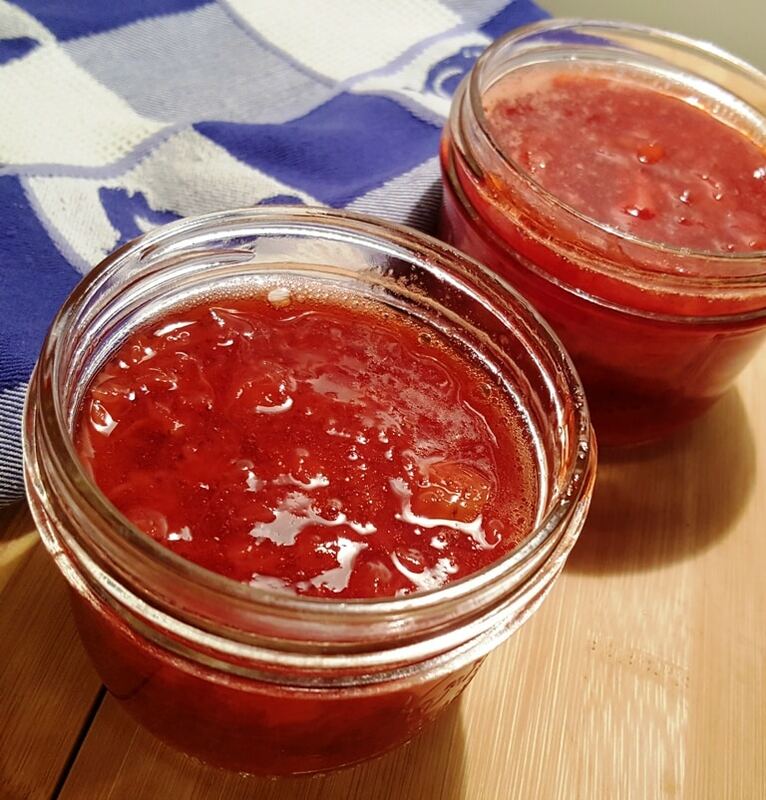 Do you have a recipe for strawberry-rhubarb compote? Is there a way to thicken it up? I made the Berries Compote this weekend and it was more liquid than fruit. Or maybe more berries? Can this be made with frozen strawberries? What changes are needed? This is my ‘go to’ addition for my yogurt. I’ve been having to use frozen strawberries lately but I just let them thaw a bit first before I add the sugar. I alternate between this and blueberry compote. Just a spoonful in the bottom of the jar of yogurt is plenty of sweetener for my taste. Strawberry Compote looks delicious. 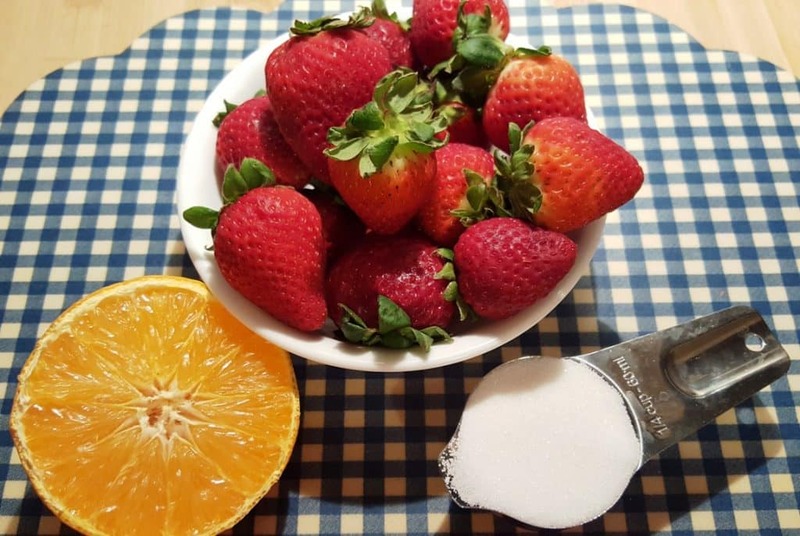 I am a diabetic and wondering if you you use sugar substitute for the regular sugar your Strawberry compote recipe? Can you make fruit compote with frozen berries? Is there a reason you use fresh orange juice? Is the orange juice discernable in the taste? If using frozen berries, should some of the juice be drained off first? Can you freeze this for use later or will it get watery? If I substitute stevia for sugar will I then need extra liquid? Hello. I saw under extras you listed vanilla bean and ginger. How much of each and when did you add those? Also, is the 1 oz of orange juice fresh squeezed from the orange correct? Thank you! I can’t wait to try this. How long does this last? Can I make it two weeks I. Advance of using? I did not find the strawberries thickened up enough. The compot was still rather runny after cooling down. 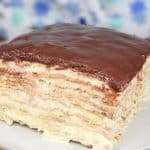 Is there an alternative to sugar that can be used? Also, can this be preserved with water bath canning methods? Thanks! This recipe sounds amazing! My question is: Does it stick to the bottom of your pan since you aren’t adding normally 1 cup of water to the pot for it to pressure cook? I make you YOGURT all the time! WE LOVE IT!! 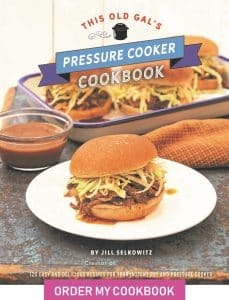 Thanks Jill for all your recipes for IP and air fryers!! How many cups is one pound of strawberries? If im making without any sugar, should i add some water?